and are close to Stanley Park, Robson Street, skytrain, float planes, shops and restaurants. 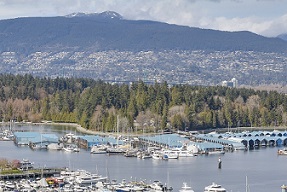 141 Coal Harbour Condos and Townhomes are currently listed for sale. 50 Condos have sold in Coal Harbour since July 1, 2018. 5 Townhomes have sold in Coal Harbour since July 1, 2018. Coal Harbour is always a beautiful place to invest in downtown Vancouver. Greater Vancouver Real Estate Trend - March 2019. Condo prices decreased by 4 percent from last year to $660,300. 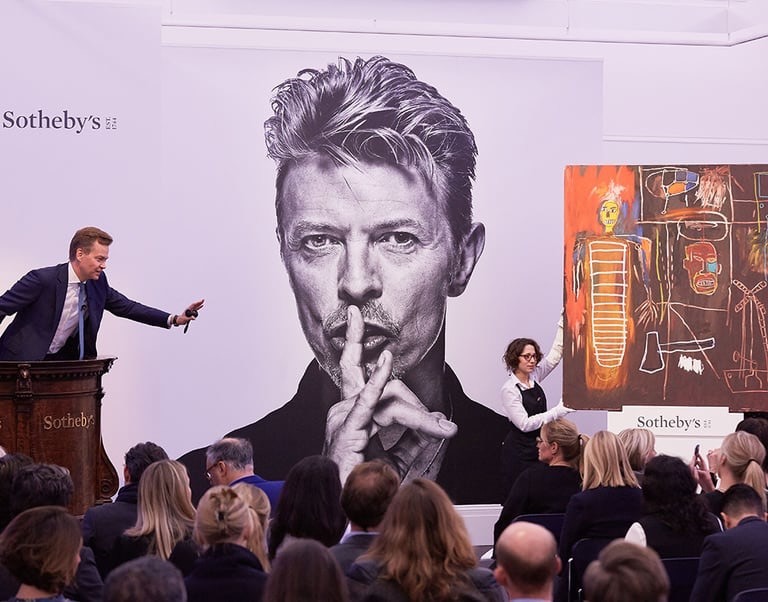 Last months sales were 42.5 per cent below the 10-year March sales average. If you have been considering putting your property on the market it's important to connect with a local Realtor® who can help you develop a strategy to meet your home buying or selling needs. I have buyers right now looking for your exact home. Call me now for a current market evaluation of your home. Coal Harbour condos inventory is very low on the waterfront. Condos and Townhomes still remain active and in demand compared to Detached homes. The Mortgage requirements have changed so make sure you are pre approved before you start looking so you are not suprised what you qualify for after you write an offer. The foreign buyers tax and speculation tax have also been implented. In March 2019, sales of condos reached 873 a decrease of 35.3 per cent compared to March 2018. The benchmark price for a condo decreased 5.9 per cent in the last year to $656,900. The Sales to active listings ratio for all properties is 13.5 per cent, an official buyers market. If you overprice your condo, it will sit on the market. The number of sales of townhomes were 325 in March 2019, a decrease of 27.1 per cent from March 2018. The Benchmark price of an attached unit is currently $783,600 which is a 6 per cent decrease over the last year. Click on "Statistics" for the the Real Estate Board of Greater Vancouver's recent Stats.. Sellers, NOW is the time to LIST your Coal Harbour Condo. Mortgage interest rates are slowly rising and new changes are underway. Prime rate is 3.95% as of December 2018. Prices are more reasonable compared to other world class cities around the world. There is a low inventory of good properties for sale so please make sure you have a trusted local expert Realtor® with you at your side. Coal Harbour is fully built up. Time must be on the condo owner's side. Government reduces tax burden on first-time buyers. Effective February 19, 2014 under the Property Transfer Tax (PTT) First Time Home Buyers Exemption program, qualifying first-time buyers can buy a home worth up to $500,000 the previous threshold was $475,000. The partial exemption continues and will apply to homes valued between $500,000- $525,000. Click here to find out more. Contact me to discuss your options and set up an appointment to view some of Vancouver's most impressive and luxurious condos. Sellers call me now for your complimentary professional market evaluation of your home. Cardero by Bosa at the 1575 block of WEST GEORGIA STREET, is on sale. Cardero by Bosa will offer 78 studios, 20- 1 bedrooms, 79- 2 bedrooms and 7 - 3 bedroom with luxury finishings and beautiful Coal Harbour views. Completion is estimated to be 2019. The luxury hotel and condo building Fairmont Pacific Rim Estates at 1011 W Cordova completed mid 2010 and several residential properties are for sale. Waterfront building Three Harbour Green completed at 277 Thurlow. 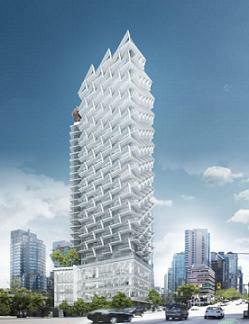 In Downtown Vancouver on the edge of Coal Harbour and the West End, the 1550 Alberni presale by Westbank and Kengo Kuma Architects is SOLD OUT. This LUXURY INVESTMENT will feature 43 stories of pure luxury finishings, a pool and a Japanese restaurant. 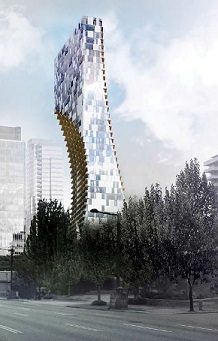 With its intricate design this orthogonal tower will add art and the wow factor to the downtown Vancouver skyline optimizing the neighbourhood views. Please contact me for more information about the above or other properties. As a leading top Vancouver Realtor®, I am a Coal Harbour Condo, Penthouse and Townhome specialist. I have been successfully selling real estate since 2005. 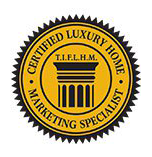 A Certified Luxury Homes Marketing Member who specializes in Luxury View and Waterfront Properties in West Vancouver, North Vancouver and in Vancouver. I have worked with many non resident Buyers and Sellers as well as local clients and clients around the world. Are you looking for Superior results? 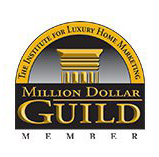 Contact me and take the first step to achieving your goal. You will receive the highest level of customer care, service and luxury marketing that your home deserves at any price point, from Holly Wood Sotheby's International Realty Canada. 3 bedroom & den, 2 bathroom, luxury view condo at the RITZ in Coal Harbour. STUNNING Views from this lovely 3 bedroom and den 2 bathroom, 1275 sqft luxury view condo in Coal Harbour. Oceam & Mountain views from the Living Room, balcony and Master Bedroom. Air con. stunning finishings, 2 spa inspired bathrooms, updated expanded dream kitchen, overheight ceilings and steps to the waterfront. 5 star hotel amenities, beautiful S/West facing protected ocean, marina and mountain views. 2 parking and 1 locker 24 hr concierge, pets & rentals allowed. Built in 2008 by Pinnacle. The Fairmont Pacific Rim PENTHOUSE-2 RESIDENCE is a World Class Luxury Residence sitting atop the Five Star Fairmount Pacific Rim Hotel along Vancouver's coveted Golden Mile just steps to the city's vibrant business district, most exclusive shopping and finest restaurants. This brilliantly designed two-level residence encompasses approximately 6652 square feet of expansive living with over 2900 additional square feet of outdoor terraces enjoying one of the most prized city, mountain and water views in the city. This four bedroom World Class residence has been re-designed by one of Canada’s most renowned architectural & interior design companies providing a luxury lifestyle like nothing else in the city .This 4bedroom and den, 5 bathroom 6652 sqft of pristine world class Fairmont Pacific Rim condo living features overheight ceilings, 2 levels of briliantly designed features with sweeping Coal Harbour Views.